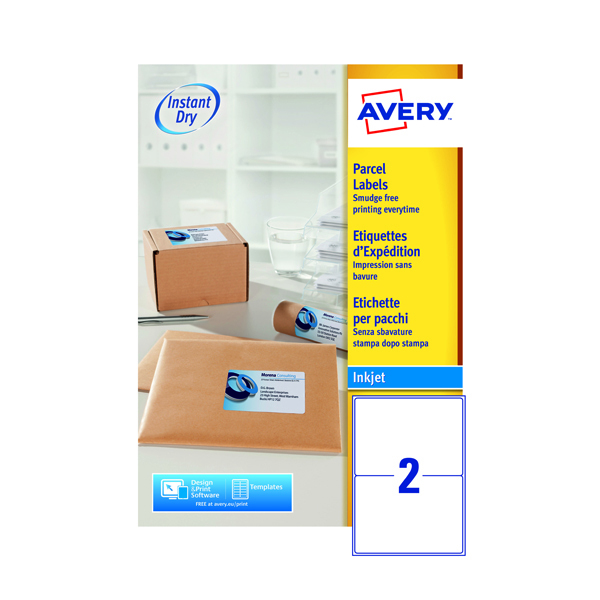 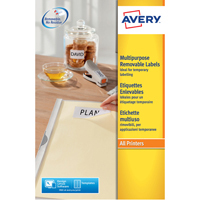 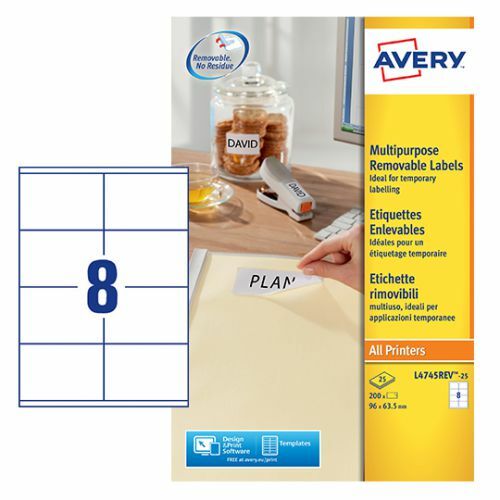 Avery Removal Labels are great for creating short term labels or instructions as they stick securely but remove easily leaving no residue behind. 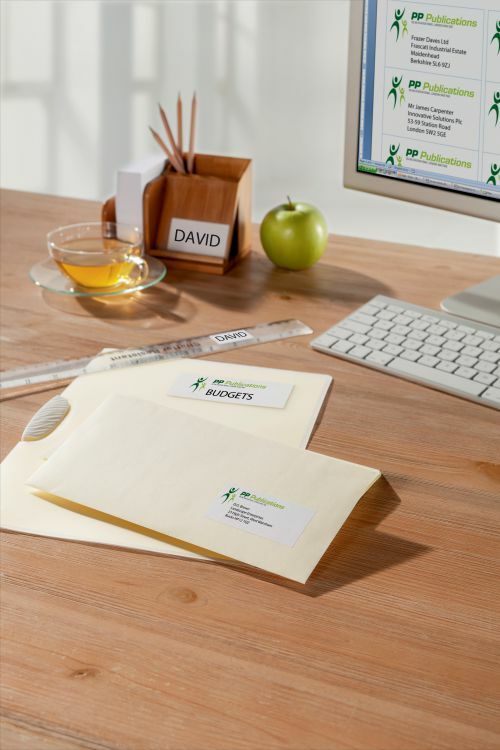 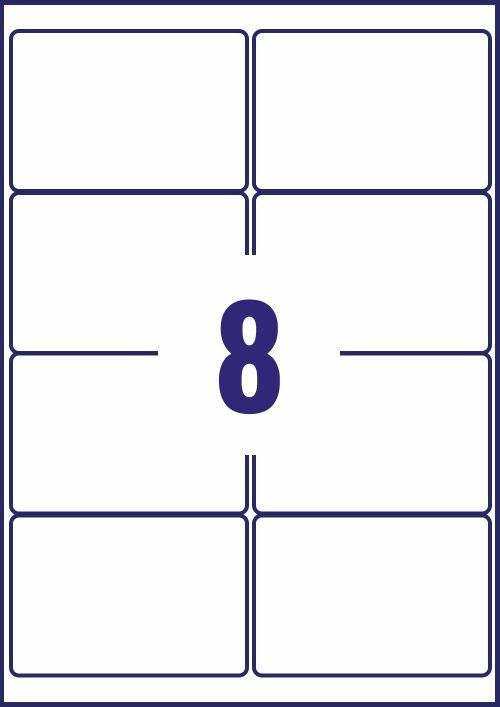 Available in 8 white labels per sheet in a format of 96 x 63.5mm, the bright white material gives a sharp print finish. 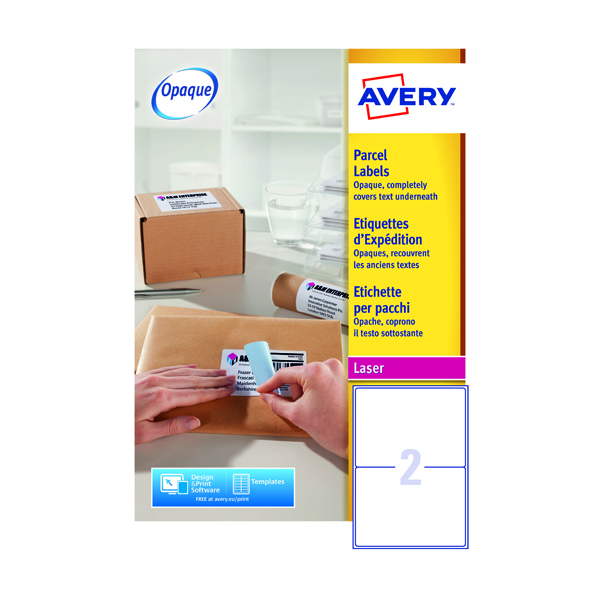 Suitable for all popular black and white laser, colour laser and inkjet printers, also for copiers.